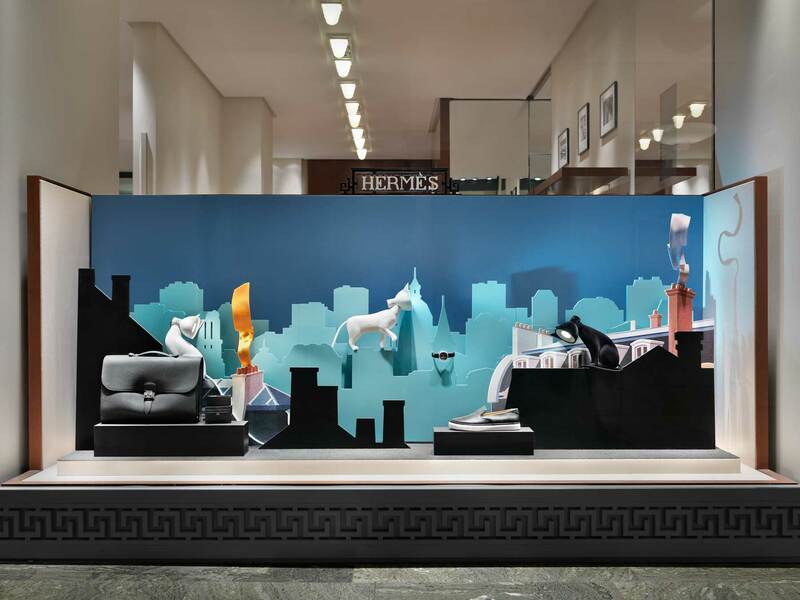 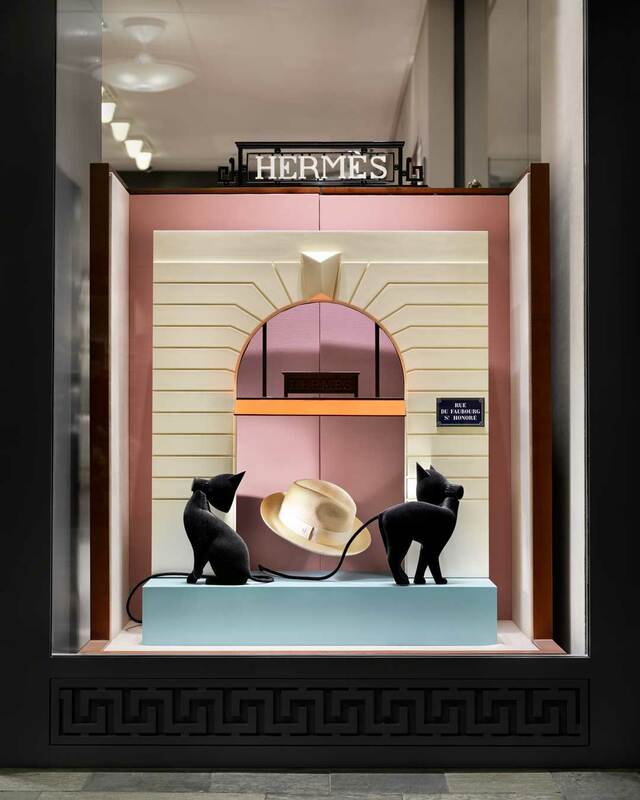 The Hermès theme for 2015 was flâneur. 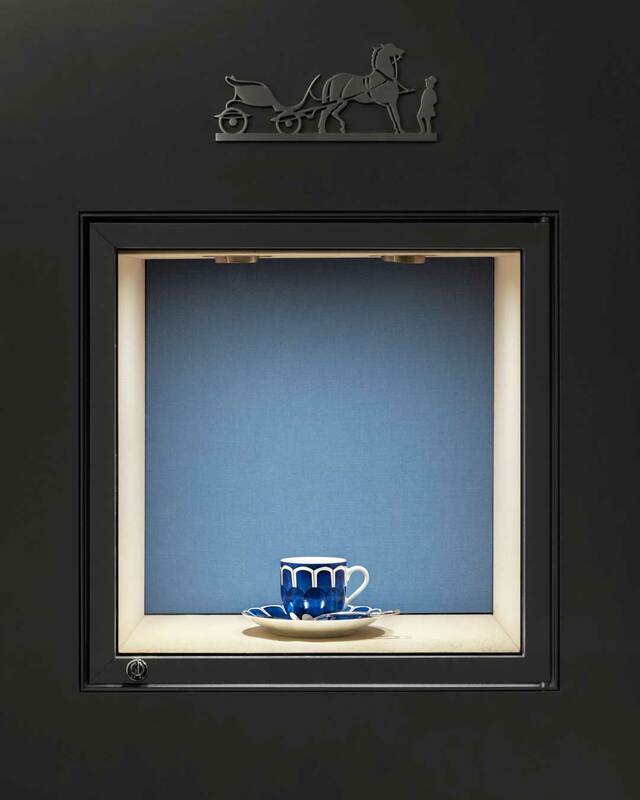 A word that literally means “stroller” but comes with a rich set of associations: the man of leisure, the idler, the urban explorer, the connoisseur of the street. 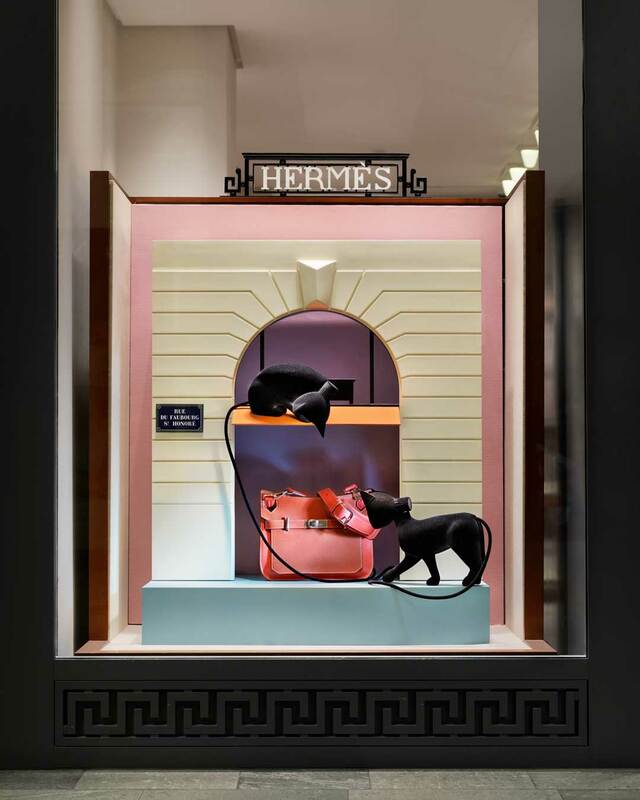 For the first set of windows of the year JTS imagined the flânuers as cats strolling around the city aimlessly but enjoyably, observing life and their Parisian surroundings. 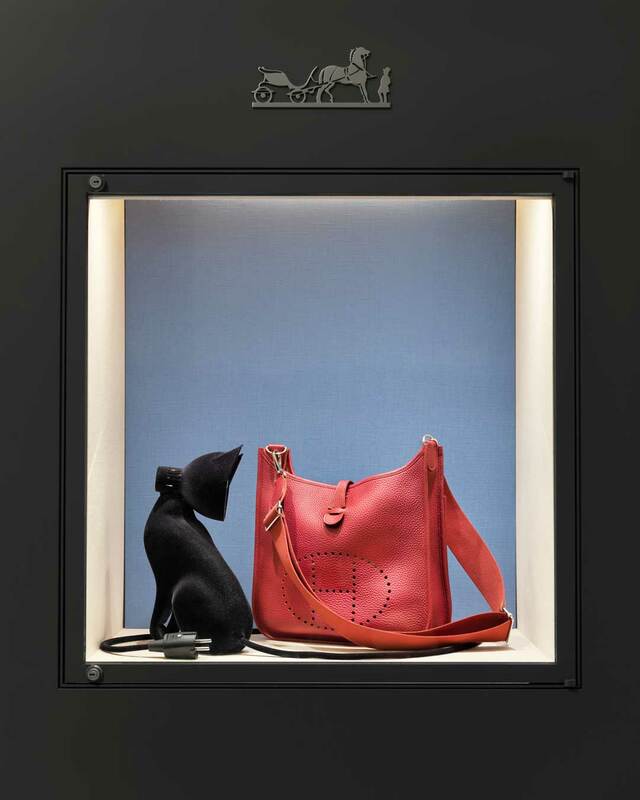 It was after this project that they started to produce the cat lamp “Lucia”.